Various factors can make or break your roof’s ability to perform well. True enough, a high-quality roofing system should be properly installed and well-maintained to ensure your home’s protection through the years. When the exact opposite happens, your roof may fail early, shortening its life span by a matter of years. John Henderson Construction, LLC, the leader in providing residential roof services in the area, explains in further detail the factors that may impair the service life of your roofing system. Roof installation mistakes can shorten the service life of your roof. For instance, errors in nailing the shingles can damage it later on, which then leads to leaks. Failure to address the problem early may compromise not just your roof but also the other parts of your home due to moisture. That said, it is important to choose from one of the new roof installation contractors for your roof repair or replacement project. Apart from carrying licenses and certifications, your chosen contractor must have considerable experience and a proven reputation when it comes to providing roofing services in the area. Ideally, roof maintenance is done at least twice a year to ensure the roof’s tip-top condition until the end of its service life. Many homeowners, however, disregard this need, perhaps due to the notion that their roofing system doesn’t require that much maintenance. Even the most durable roofs may suffer from damage sooner or later. In that regard, have your chosen contractor perform roof maintenance to prevent leaks and other issues altogether. Doing so preserves the integrity of the roofing system for a long time. A roof installed with low-quality roofing materials and components can’t expect to perform at its best. They may come cheap, but that doesn’t always equate to quality. That’s why we recommend selecting products from proven roofing manufacturers like GAF. As a Master Elite® contractor, we offer durable, weather-resistant shingles to ensure protection for your home. 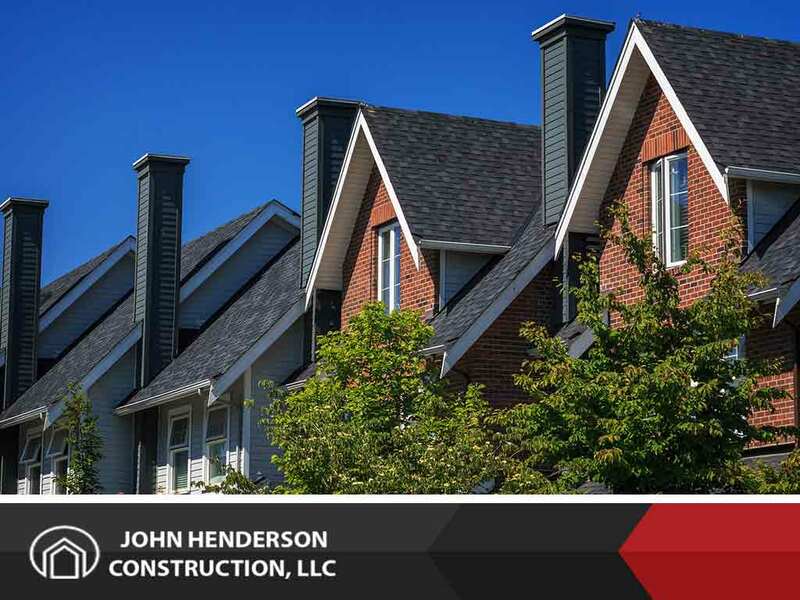 One of the top residential and commercial roofing contractors in the area, John Henderson Construction, LLC takes pride in providing full roofing services. We don’t just repair, replace or install roofs—we also perform maintenance to be certain they work until the end of their life span. Give us a call at (860) 415-4055 or (401) 615-2224 or fill out our contact form to request a free quote.